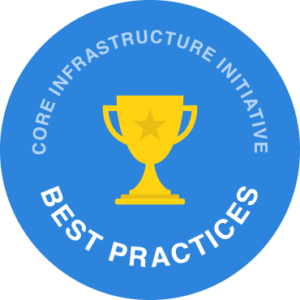 Since my last post on the Core Infrastructure Initiative CII Best Practices Badge for R Packages – responding to concerns, there have been many R language projects started – and completed – on the CII Best Practices site. In this post, we recognize the R projects that have achieved the CII Best Practices – Passing level, and note that several are well on their way to achieving silver level. In all, there are more than 50 CII projects related to R packages, with the popular ggplot2 package at the cusp of joining the group below with 97% completion as of this post. Please congratulate these package owners for their achievement. If you’re a package developer, consider adding your package to the CII Best Practices ranks, and work your way through the levels of passing, silver, and gold. For enterprise users of R, licensing terms of open source software can occupy a significant share of Legal and Corporate Architecture departments time. In Should R Consortium Recommend CII Best Practices Badge for R Packages: Latest Survey Results, one survey topic touched on the licensing of R packages. In talking with various enterprise users of R, there were a few suggestions about how the R community could make leveraging R packages easier within enterprises, while allowing Legal and Corporate Architecture departments to get more sleep. Some of you may be familiar with the process that enterprise users of R packages go through for approvals to use R in their products. Third party software often needs to go through legal reviews, corporate architectural reviews, security reviews, and line of business approvals before they can find their way into use within an enterprise or in products that they produce. Perhaps less known, is that it’s not just the license of the package in question, but all of its dependent packages, recursively. 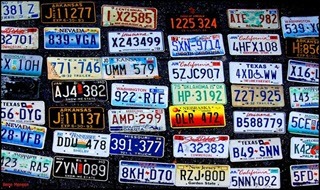 For example, is a GPL–3 licensed package using a GPL–2 license package validly designated? We encourage package authors and maintainers to review their dependent packages and look for opportunities to address the suggestions above. Where possible, encourage dependent package authors and maintainers to adopt more permissive licenses as well. Where not possible, ask whether the functionality provided by the dependent package is essential. For enterprise users of open source software, ask your Legal departments to share their concerns with developers so more informed choices can be made in the future.